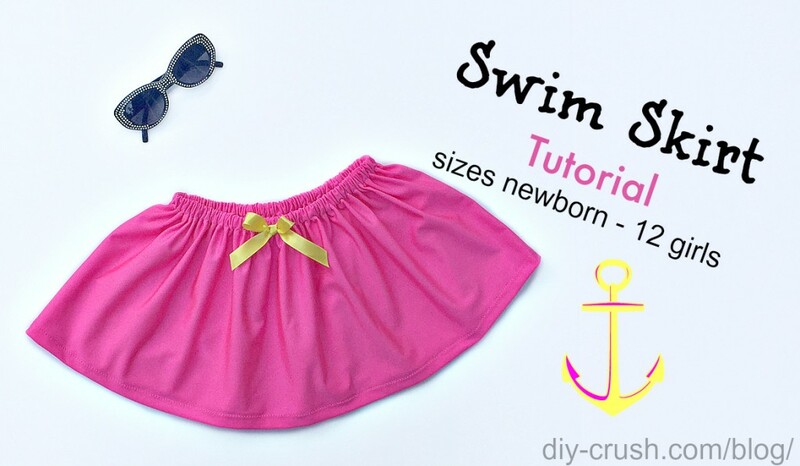 Most bathing suits for girls don’t provide much coverage in the bum area so I thought to make a quick tutorial for a cute swim skirt. Hi, I’m Denise from DIY Crush, a blog full of great tutorials, patterns, features & more! So thrilled to be guest posting for you today! Let’s get started on this fun project! 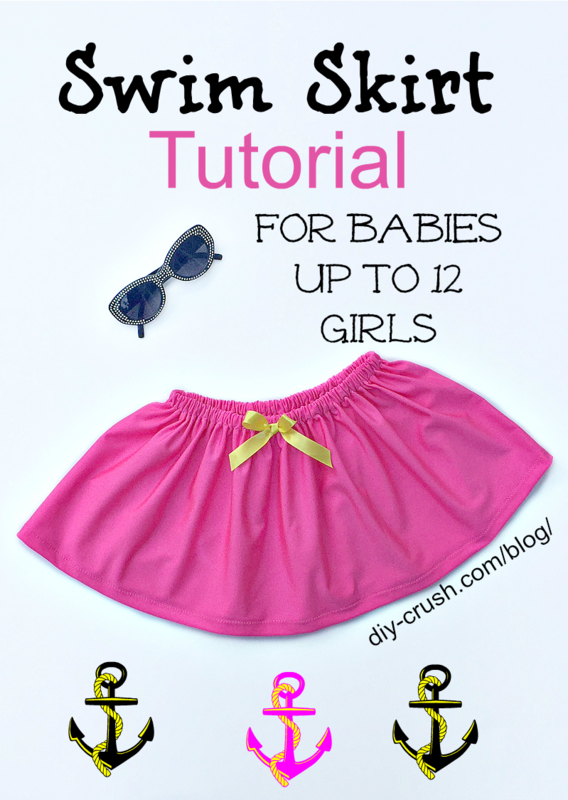 We won’t need much to sew this great cover-up skirt for any little girl from babies through age 12! You will only need to cut one piece of fabric and one piece of elastic! 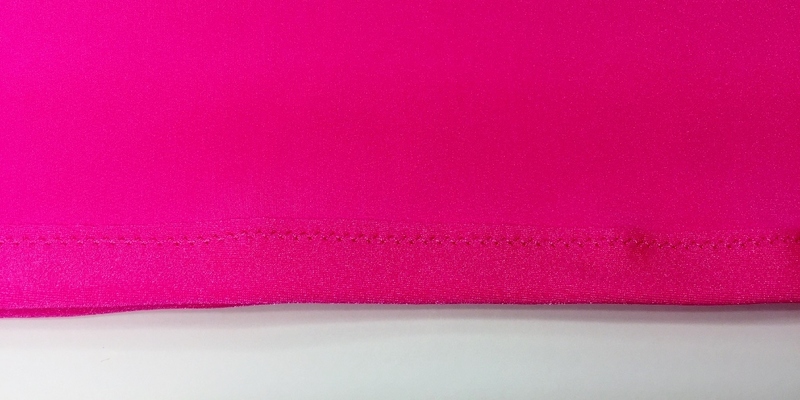 With right sides together and print direction going down, pin and sew the right edges. There is no need to finish the raw edges as swimsuit material won’t unravel. Fold down the top edge 3/4″ and pin every 1/2 inch. TIP: for more information on sewing hems of swimsuits please check out my post. 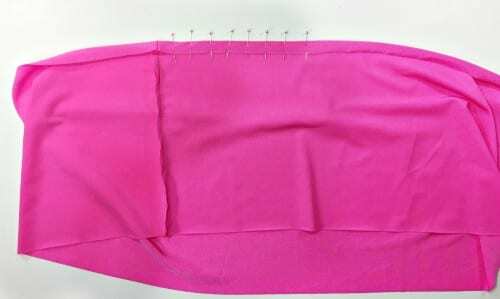 Using your preferred stitch and needle, sew the fold in place along the bottom edge of the fold. 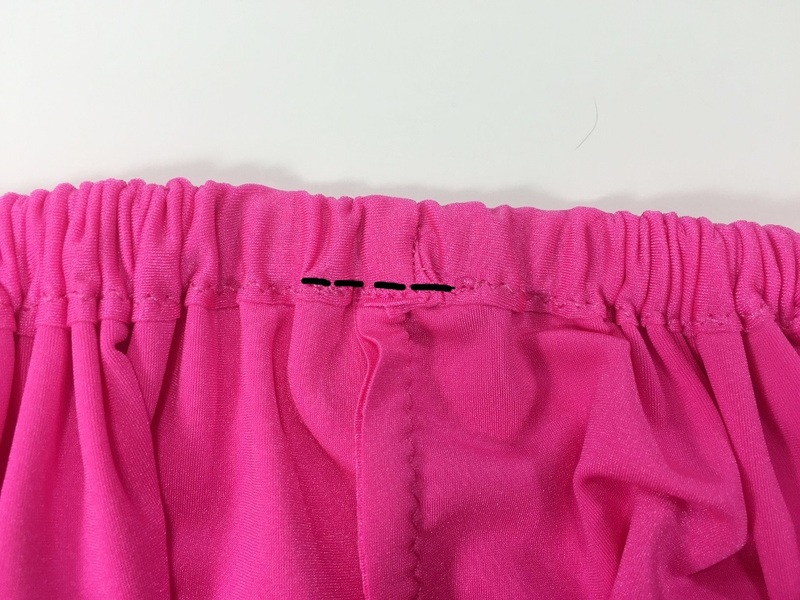 Leave a 1″ opening on the side seam for later inserting the elastic. Repeat this step with the bottom hem but omit the opening. 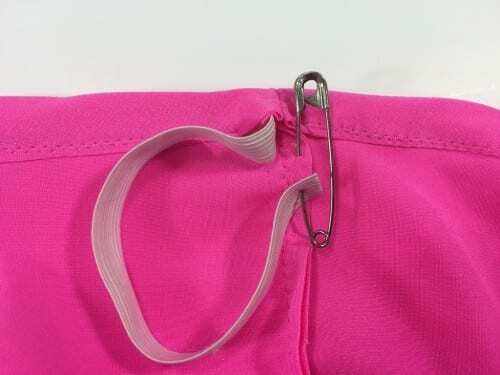 Secure a safety pin to one end of the elastic and insert it into the casing. 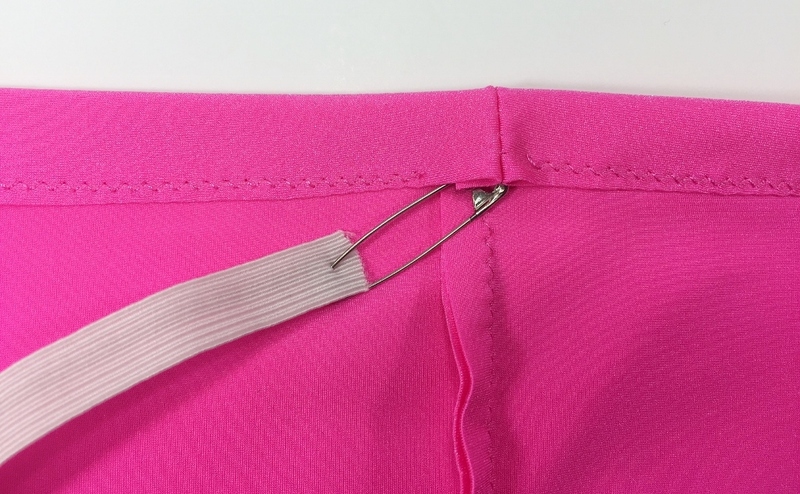 To prevent the elastic from slipping into the casing while you feed the elastic in, secure the end of the elastic with another safety pin to the inner seam. 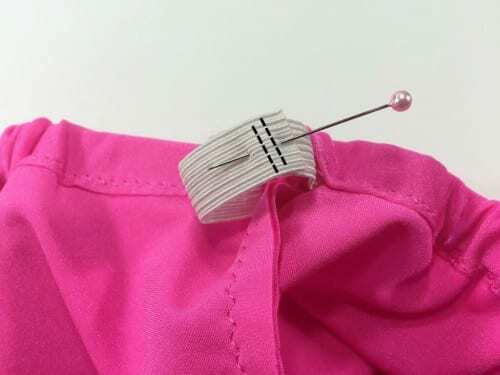 Once both ends of the elastic meet, overlap them 1/2″ and pin in place. Then sew over this area several times. Now it’s time to close the opening with your machine. 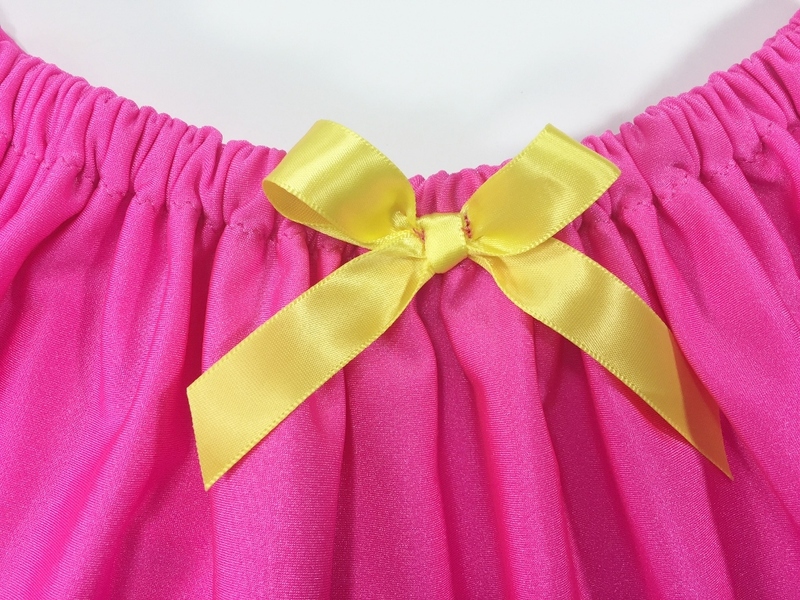 Add a cute ribbon bow to the front by hand or with your machine. Heat seal the ends and you are done! Your custom made swim skirt is done! Now get your little girl and let her try it on! CLICK TO SAVE PIN NOW FOR LATER! I hope you like this tutorial and will hop over to visit my blog DIY Crush soon! You can also find me on Twitter, Facebook, Google+, Pinterest and Instagram.